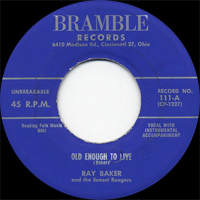 Chanteur Country US, Ray Baker a enregistré chez Bramble (57), Vaden (6?) 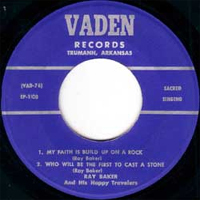 et United Artists Records (64). 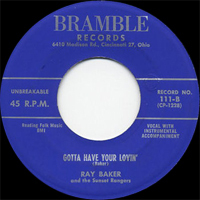 US Country singer, Ray Baker recorded at Bramble (57), Vaden (6?) 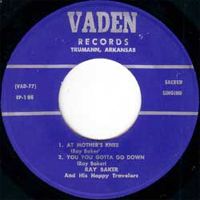 and United Artists Records (64).